The first Short Trip of the year is being released today. The Revisionists is a Fourth Doctor story which features Leela meeting the Brigadier for the first time - and we can't wait to hear what happens in this clash of (very different) minds! Writer, Andy Frankham-Allen, told us more in December 2018’s edition of Vortex: “The brief was, quite simply, write a short story featuring the Brigadier. I suggested having him with the Fourth Doctor, and Alfie Shaw suggested Leela. And it just blossomed from there – dealing with his retirement was an obvious choice as it’s a part of his life in Doctor Who that’s never really been touched upon in any meaningful way. The Revisionists is available now for £2.99 on download (only) from Big Finish. Or you can save money with a bundle of the Short Trips range and get the 12 stories from series 9 for just £30 a year. Coming next in the Short Trips range is the very exciting first ever Twelfth Doctor story for Big Finish. Written by Lizbeth Myles in her debut for Big Finish, The Astrea Conspiracy is a story featuring Aphra Behn, one of the first English women to earn a living from writing. 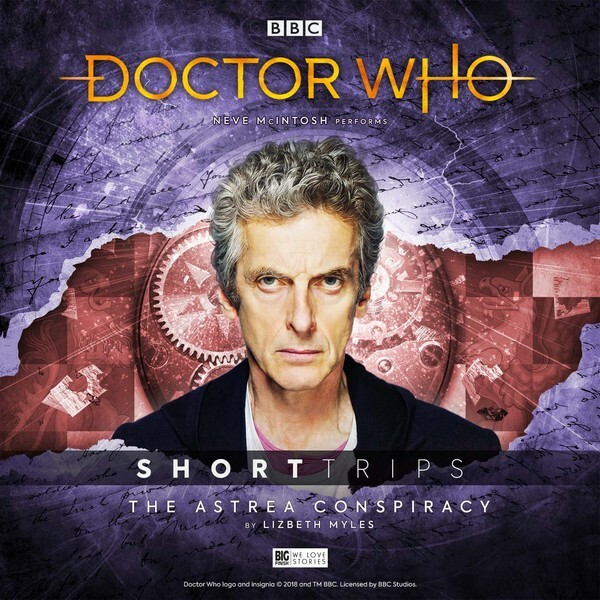 Read by Neve McIntosh (who plays Madame Vastra in The Paternoster Gang), The Astrea Conspiracy will be released in February.